Edutopia (the George Lucas Educational Foundation) has released How Learning Happens, a series of more than 20 videos showcasing teaching practices, grounded in the science of learning and development, that educators can use in their classrooms right away. The series was produced in collaboration with the National Commission on Social, Emotional, and Academic Development and with support from the Chan Zuckerberg Initiative. 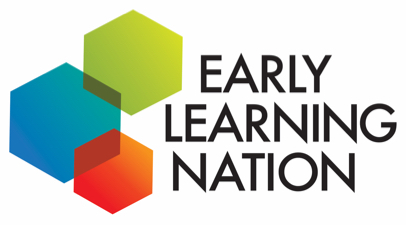 Turnaround for Children, The Science of Learning and Development Initiative, Learning Policy Institute, American Institutes for Research and EducationCounsel collaborated closely with Edutopia to develop the content. Bringing the Science of Learning Into Classrooms: Years of research prompt a group of scientists to ask whether we should rethink the way we do school. 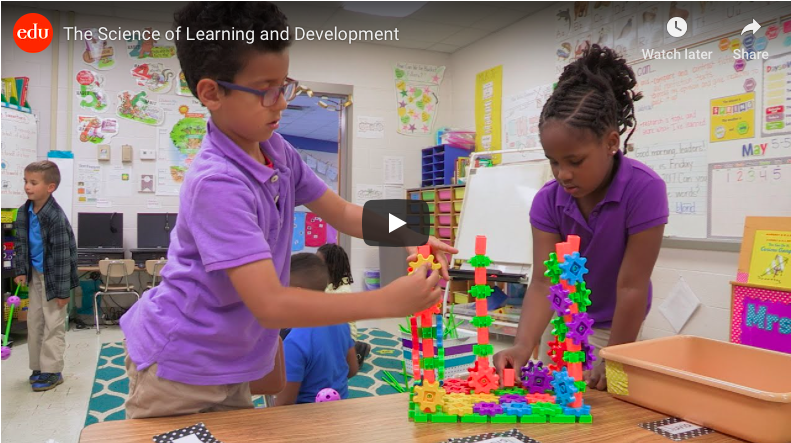 The Science of Learning and Development: The research is clear: Strong relationships with educators help students develop the cognitive skills they need to learn and thrive. Getting Started With Trauma-Informed Practices: When teachers use strategies tailored to children who have experienced trauma, all students reap the emotional and academic benefits. Fostering Belonging With Classroom Norms: When students help create their classrooms’ rules and culture, they’re more engaged and invested in learning. Boosting Engagement With Notices and Wonders: When students make “I notice” and “I wonder” comments on course content, teachers can see what they know—and what they need to learn. Encouraging Academic Conversations With Talk Moves: Sentence starters that students use to join a class discussion encourage both academic thinking and social connectedness. Elevating Student Voice Through Senior Talks: High school seniors build confidence by documenting their growth and learning in a speech presented to their families and the school community. The Power of Relationships in Schools: Research shows that students who feel safe and supported by adults at school are better able to learn. Making Connections With Greetings at the Door: Research shows that greeting students as they come into class bolsters a feeling of belonging and readiness to learn. Cultivating Trust With One-on-One Time: For many struggling students, consistently spending informal time with a trusted educator supports emotional well-being and academic growth. Knowing Every Child Through Index Card Rosters: By regularly reviewing students’ behavior and learning as a team, teachers can ensure that every student is seen, supported, and celebrated. Inviting Participation With Thumbs-Up Responses: A quick assessment strategy replaces raised hands, encouraging more students to contribute by accommodating their different processing needs. Motivating Students With Book Choice: Letting students choose books to read helps them develop a sense of autonomy and ownership over their learning. Scaffolding Discussion Skills With a Socratic Circle: Students deepen their understanding and build a sense of community by engaging with their peers’ reasoned arguments. Learning Problem Solving and Growth Mindset in a Makerspace: Makerspaces build students’ cognitive abilities while fostering independence, perseverance, and self-regulation. Teaching Self-Regulation by Modeling: When teachers explicitly recognize and respond to their emotions in class, students learn to engage in these processes themselves. Developing Executive Function With Priority Lists: Explicitly modeling the process of prioritizing tasks builds students’ ability to organize and manage their time. Developing Agency With Student-Led Conferences: When students lead meetings with their parents and teachers, they gain a voice in their education and develop skills like goal-setting and metacognition. Creating a Positive Learning Environment: When students’ mental, emotional, and physical needs are met, they’re more likely to love school—and they learn more. Demonstrating Self-Regulation With Tone of Voice: When teachers model self-regulation by using a voice that is calm, neutral, and assertive, they help students feel cared for—and ready to learn. Activating the Brain With Movement Breaks: Research has shown that short movement breaks help students get focused, improving both skill-building and knowledge retention. Getting Ready to Learn With Mindfulness: Research shows that taking some time each day to practice mindfulness as a class helps students prepare themselves for learning. Can Tantrums Today Translate to Learning Challenges Tomorrow?